If you’re anything like us at 61 Dental then you’ll have had your Christmas tree up for at least a couple of weeks by now, the cupboard is well and truly stocked up with mince pies, and the festive films are on a loop! One of our all-time favourite Christmas movies has got to be Elf. Not only do we love Will Ferrell as Buddy, you just can’t beat this film’s feel-good factor, can you? For us a 61 Dental, we also adore the line ‘I just like to smile, smiling’s my favourite’, which begs the question, is smiling your favourite, too? Do you love to smile? If you have a beautiful, healthy smile that you just love to show off, smiling can be a wonderful thing. However, those who feel conscious about the way their teeth appear often don’t like to show their smile and we believe that these people are really missing out on such a special feeling. Being able to smile with confidence is a wonderful feeling, which is why we just adore helping our patients to achieve the smile of their dreams through the various treatments we have to offer. If oral health is getting you down then our dental hygienist/therapists have a wealth of tricks up their sleeve to get things back on track for you. We are also able to provide numerous cosmetic treatments such as Invisalign and short-term orthodontics to straighten the teeth, cosmetic bonding or veneers to create a more uniform shape and size to the teeth, and of course tooth whitening, a highly popular treatment that can offer some really outstanding results. Here at 61 Dental we listen to each patient’s individual concerns and provide advice and solutions based entirely on those unique desires. We always involve the patient in their own treatment planning and we work together to create those dream smiles. If smiling currently isn’t your favourite, we’d love to make 2019 the year it is, so give us a call on 0161 428 2447 to arrange on no-obligation consultation. This entry was posted in Braces, Cosmetic Dentistry, Oral Health, Teeth Whitening on 19th December, 2018 by 61 Dental. 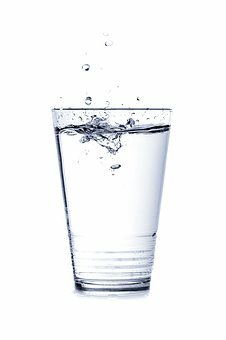 How important is water to our oral health? We’re often told that drinking enough water is essential for good overall health, glowing skin, and even weight loss. But how important is water for our oral health? Water is the best drink of choice if you’re conscious about the health of your teeth. This is because most water contains fluoride; a vital mineral for helping us to fight cavities. Fluoride does this by aiding the remineralisation of the tooth enamel and preventing harmful bacteria producing the acids that attack the teeth and cause decay. However, drinking water can also ensure that the fluoride is present within our own saliva, meaning that we will have that important protection at all times. Children who drink fluoridated water will also benefit greatly because it will help them to develop strong permanent adult teeth. In addition to the fluoride benefits, water doesn’t contain anything harmful to our precious tooth enamel. Juices and fizzy drinks are often very acidic, and can erode the tooth enamel, even if they are sugar free! Choosing water with your meal is not only a more refreshing option, it will also do a better job of washing away leftover foods and diluting any sugars. Winner! Finally, and quite obviously, water is also clear! This means that it causes no staining in the way that other drinks – such as tea, coffee, and wine – can. So if you’re aiming for a bright, white, healthy smile, when thirst hits quench it with a cold glass of refreshing water! Of course, drinking enough H20 is only one facet of achieving great oral health. It is important to couple excellent hydration with a home care regime that is second to none. If you’d like to discuss your oral health and learn some top tips on how to boost it, just give us a call on 0161 428 2447. This entry was posted in Blog, Oral Health on 26th October, 2018 by 61 Dental. What should you do in a dental emergency? With anything in life, it is vital to be prepared for worst-case scenarios. It avoids panic in a crucial emergency situation, allowing you to keep a cool and calm head and resolve the situation in the best way possible. Most people know what to do if they fall ill, have an accident, are caught in a fire, or are the subject of a crime… simply call the emergency services and they will help you. But what happens with a dental emergency? A chipped tooth or toothache is not urgent enough for a 999 call, but it’s still something that requires immediate attention. Seeing a dentist as soon as possible if any of the above situations arises is vital because you will receive the specialist care required, and in cases of trauma this could mean the difference between saving and losing a tooth! At 61 Dental, we always respond quickly to dental emergencies, and will make arrangements for you to be seen promptly. Call us on 0161 428 2447 if you need us. If you ever knock out a tooth (or teeth), keep it clean and avoid handling the root. Try putting the tooth back into the socket and bite down on a clean paper towel for 20 minutes. Call us straight away! Save our number in your phone as an emergency contact, so that if the situation ever arises, you’ll always know how to react quickly to a dental emergency! Do it now, 0161 428 2447. This entry was posted in Dental Emergency on 23rd July, 2018 by 61 Dental. Tooth whitening is always highly popular. Not only because it’s easily accessible and affordable, but it’s also a highly effective treatment that can produce quite dramatic results. It’s also non-invasive, unlike porcelain crowns or veneers. Over time, your teeth can become stained or discoloured due to various factors, from the foods and drinks we consume to habits like smoking, or simply down to the natural ageing process. Feeling self-conscious about yellowing teeth is understandable in our increasingly cosmetically aware society, so if you don’t like the appearance of your teeth, tooth whitening might be part of the solution for you. Tooth whitening – how’s it done? As with any cosmetic dental treatment, you always need to be assessed by a dentist first, to make sure your oral health is stable and up to scratch. 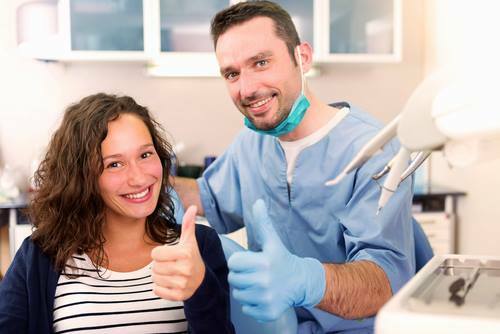 This will also give you the chance to explain your concerns and allow your dentist to create the best treatment plan that is tailored to your specific needs. Only dentists can legally carry out tooth whitening, so don’t be tempted to take risks with your health, leave it to the professionals. Here at 61 Dental in Stockport, we use a home whitening system, which is done by placing some whitening gel in your own custom-made trays. We just need to take impressions of your teeth, then the trays are worn for around one and a half hours per day. It’s that simple! For best results this usually takes around two to four weeks, and you can top up your new smile as and when you need to. If you are interested in achieving a whiter, brighter smile, give us a call on 0161 428 2447 to book an initial appointment. We look forward to making you sparkle! This entry was posted in Teeth Whitening on 23rd February, 2018 by 61 Dental. We all know January brings resolutions or promises one way or another. Getting fitter, or learning a new skill; most have fallen by the wayside by the end of January. So if you’re still on track then Well Done! from all of us at 61 Dental in Stockport! If saving money is on your list for 2018 – let’s face it, who doesn’t want to save some cash – then we might have just the thing to help you. Our Dental Care Plans are a great way of making your dental care more affordable by breaking it down into smaller, monthly payments. Our Dental Care Plans cover lots of things to keep your mouth in top condition throughout the year. Your monthly fee will include all necessary X-rays, a scale and polish for a super clean smile, an oral cancer screening for peace of mind, a clinical examination, treatment planning, preventative advice and care, emergency dental assessments and temporary treatments, 20% off any routine dental treatment that you may require, and a Worldwide Dental Emergency Assistance Scheme. There are two levels to choose from; for just £16.89 per month you will receive as many dental examinations and hygiene appointments as your dentist recommends per year (usually two). Or, for £11.84 per month you will receive one dental examination and one hygiene appointment per year. Both of our plans offer exceptional value and allow you to budget for your dental care. So if money saving and a health kick are high on your agenda for the year ahead, we can tick two of your boxes! Visit www.61dental.co.uk for full details. To find out more, just email us at info@61dental.co.uk or call 0161 428 2447. This entry was posted in Dental Care Plan on 17th January, 2018 by 61 Dental. When was the last time you changed your toothbrush? If you’re still thinking about the answer, it was probably too long ago! 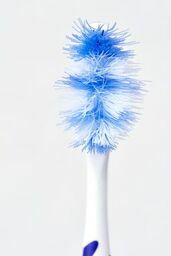 Did you know, it is recommended you change your toothbrush every three months in order to ensure its working its best? Of course, if you use an electric toothbrush, you just need to replace the head for a fresh one. With Christmas and the New Year fast approaching, we thought it would be a good idea to mention new toothbrushes, because there’s still time to ask Santa for an electric toothbrush in your stocking. We always recommend these to our patients, because they are so efficient at removing plaque and leaving your entire mouth feeling super clean. This, of course, is hugely beneficial for your dental health, helping you to avoid any big problems further down the line. If you have a cold, or any other bug, before the magic three months is up, we advise changing your toothbrush once you’re better. This prevents you becoming sick again, because your toothbrush could potentially harbour some of the nasty germs. Here at 61 Dental in Stockport, we are always more than happy to discuss toothbrushes, the best type for you, and provide you with useful brushing techniques too. All of this can help you get the most out of your two minutes, twice a day, putting you on the path towards superb dental health, which is something we love! Just ask us at your next dental check up. We’re closing for Christmas on Friday 22nd December and reopening on 2nd January 2018. We will be open on the mornings of 27th, 28th and 29th December (10.00am – 1.00pm) for any emergencies. If you have a dental emergency while we are closed please just call the practice number 01614282447 where you’ll find all the information you need to seek treatment. We look forward to welcoming you to 61 Dental very soon, in the meantime, have a wonderful Christmas and New Year! This entry was posted in Blog on 20th December, 2017 by 61 Dental. Are you unhappy with the appearance of your smile? Healthy and beautiful teeth, play an important role in boosting one’s confidence, and no one is more aware of this fact than people who experience problems with their smile. Just because you take good care of your teeth and gums, doesn’t mean there isn’t room for improvement. A cosmetic dentist can help you achieve the beautiful smile you’ve always wanted and so enhance your look. At 61 Dental, we understand the need for a beautiful smile, we therefore offer a wide range of cosmetic dental treatments to suit every budget. Whether you wish to straighten, brighten or fix your teeth, you are bound to find the right treatment. Our experienced and qualified cosmetic dentist in Stockport will examine your teeth and suggest a customised treatment plan. Nowadays, quite a few people face the problem of teeth staining caused by ageing, smoking, excessive consumption of caffeine and poor dental care. When performed by a dentist, teeth whitening, is safe and effective. This is because your dentist will customise your treatment and administer a higher concentration of whitening solution than over-the-counter products. At 61 Dental, we offer both in-practice and at-home teeth whitening treatments to help brighten your teeth for a youthful, more attractive smile. Dental veneers are a popular cosmetic treatment, which will allow your Stockport cosmetic dentist to transform your smile. Veneers are thin shells made of porcelain, which are adhered to the front of your teeth, enabling your dentist to close gaps, repair chips and cracks and straighten your smile. Porcelain veneers are stain resistant and look and feel like your natural teeth. White or composite fillings provide durability and strength to teeth that need to withstand the pressure of chewing and eating. At our practice, we use tooth-coloured fillings to repair decayed tooth enamel and protect your tooth root from further decay. We are also happy to replace your metal fillings with white fillings for improved aesthetics. For more information on cosmetic dentistry treatments or to book an appointment with our cosmetic dentist in Stockport, please do not hesitate to contact us. This entry was posted in Cosmetic Dentistry on 28th March, 2017 by 61 Dental. Do you feel self-conscious about your smile? You are not alone. At 61 Dental, we appreciate that it can be embarrassing to smile if you have crooked teeth. 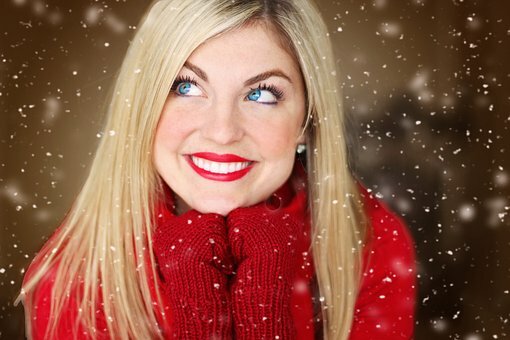 This can happen for a number of reasons, from natural changes in your jawbone as you age to previously straightened teeth shifting back to their former crooked positions..
At 61 Dental, we are happy to offer Invisalign cosmetic braces and other discreet teeth straightening treatments for adults. While traditional braces may be the only solution for a few patients with serious dental issues, Invisalign clear braces in Stockport can help you achieve a straight, beautiful smile without the need for metal braces. Invisalign is a modern teeth straightening system, which consists of a series of transparent, removable, plastic trays. Your dentist will provide you with a new set of aligners every 2 weeks and although you can remove them for eating and cleaning your teeth, you have to wear them for at least 22 hours per day. You will likely need to wear the aligners for 6 to 12 months, but each case is different. Your Stockport dentist can determine how long you will need to wear the aligners. The biggest advantage of Invisalign over other teeth straightening treatments is the discretion it offers. The clear aligners are virtually invisible, therefore, no one will ever have to know that you are having your teeth straightened. More importantly, unlike traditional braces which are fixed, Invisalign braces are removable. They can be taken out for eating, brushing and flossing your teeth. As such, you can enjoy your favourite foods without having to worry about food particles getting trapped around the brackets and wires of metal braces. Finally, treatment with Invisalign is easy to fit into a busy schedule, since you will only need to visit your dentist for a quick check-up once a month or so. Generally, if you are a teenager or adult with healthy teeth and gums, you are probably eligible for Invisalign treatment. If you are interested in Invisalign clear braces in Stockport, contact 61 Dental today, and our experienced dentists will guide you through your treatment. This entry was posted in Braces on 21st March, 2017 by 61 Dental. In Stockport, cosmetic dentists are helping people rediscover their lovely smile. ‘Are there too many teeth in this mouth?’ – a condition known as over-crowding. ‘Do these teeth lean too far in or too far out?’ – misalignment is the technical term for this condition. ‘Is too much gum visible when the patient smiles?’ – a feature known as a gummy smile. These are the naturally-occurring problems that patients come into 61 Dental to ask about treatment for. Teeth have been or knocked out, fallen out, or been extracted due to infection or too many fillings. These are all problems that people seek help for. Your Stockport, cosmetic dentist can help with all these problems. You will be glad to know that visiting a cosmetic dentist is not just pure self-indulgence. The benefits of a great smile of sparkling, evenly-toned, straight, healthy-looking teeth give you a feeling of well being, which comes from several sources. Firstly, you are no longer burdened by self-consciousness, maybe even outright depression caused by the condition of your teeth and mouth. Secondly, the mouth and teeth are in a better state, and because straighter teeth help prevent oral diseases, your physical health is also better. Thirdly, smiling releases natural ‘happy chemicals’, such as serotonin and beta-endorphins, leading to levels of increased happiness. At 61 Dental, your cosmetic dentist in Stockport can help you reclaim the smile you want. Our treatments include teeth whitening, white fillings, porcelain veneers, acid erosion solutions, and braces. One or more treatments can be combined to create a treatment package known as the Smile Makeover. This entry was posted in Cosmetic Dentistry on 14th March, 2017 by 61 Dental. Are you an adult who would like straighter teeth, but don’t want to have everyone commenting on your dental journey for months on end?If so, you’ll be glad to hear that you can have the teeth you’ve always wanted, without the attention you don’t want. If you are based, or work, in Stockport, braces are available from 61 Dental, conveniently located in Church Road, Gatley and open every working day, except Fridays after 2.30pm. We offer an almost invisible method of teeth straightening called Invisalign. Invisalign clear aligners differ from the more well-known bracket and wire braces systems. Aligners are transparent plastic trays, rather like mouth guards, which slide snugly over your teeth. These trays are so thin that it is almost impossible to see them. Each patient has aligners made specifically for them, from impressions that we take here and then send off to the Invisalign laboratory in the USA. The lab also uses information sent by us to calculate the path your teeth need to travel along to reach their required alignment. The laboratory makes an aligner tray for each step. Each one is slightly differently from the previous one, marking another step along the journey your teeth will take. The pressure created from each slight change in your aligner design is what nudges your teeth along their path. You need to wear each aligner for about 2 weeks before moving on to the next one. You will need somewhere between 12 to 48 aligners, depending on your specific needs. In Stockport, braces for adults have another great benefit. Invisalign aligners are removable. This makes them much easier to keep clean and that goes for your teeth too. The aligners should, however, be worn for at least 20 hours a day, every day, for the quickest results. You can however leave them off entirely for a few hours if you have to attend an important social or professional event. This entry was posted in Braces on 7th March, 2017 by 61 Dental.